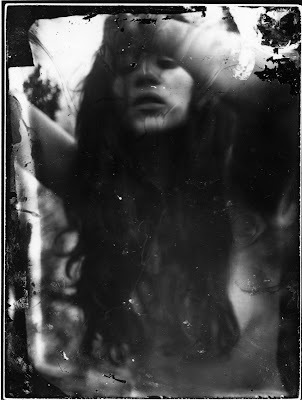 Chicago photographer and friend of the blog, Rik Garrett, has been offered a solo exhibition in London to show his recent Earth Magic series of wet-plate collodion process photographs. The offer was made under one condition: he must attend the exhibition. In order to afford the supplies need to complete work on the series and purchase a round-trip flight to London, he needs your help. He has started a Kickstarter campaign to raise the $2,500 needed to purchase supplies and flights. With pledge amounts from $5 to $800+, he is offering a number of rewards in exchange for your support. Visit his Kickstarter page for more information about the Earth Magic series and the items you can receive by pledging money to this project. Great artist and sweet dude!